In the process of starting my own business gaining internet access was huge. Not only did the Internet allow me to reach more people than my immediate circle but it created another problem. The Internet allowed me access to observe what other designers were doing and I developed a bad habit of copying. Not copying in the sense of stealing someone else’s work but copying by memorizing tactics and techniques without first knowing the motivations and course of action behind their decisions. (2) state I am a part of a startup web studio. So instead of Nathan, the web designer, I became a web design studio headquartered in Houston Texas. I will admit portraying myself as a medium sized web agency yielded different results than advertising myself individually. However, describing yourself as something you’re not doesn’t always reap good results. For the longest time, I’ve had a day job, and I freelanced, and for the life of me, I tried my best not to let anyone know that I had a day job because I wanted them to see me as a full-time freelancer. There’s something about full-time vs. part-time freelancers in which I felt full-time freelancers command more respect. There’s this idea that clients will choose a full-timer over a part-timer because the part-timer cannot balance their day job and a client project. It may be true that part-timer’s attention may be divided a full-timer’s attention, however, is often divided between the multiple clients and this is true with a full-service agency. Fulltimer’s may have more time to speak with clients at random parts of the day but when it comes to respect it all depends on the quality of work you produce. 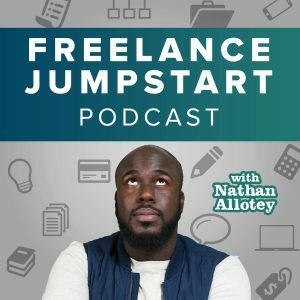 Rather than trying to cover up the fact that I was a part-time freelancer I should have discussed how my current role allowed me the unique insight into the problems business face every day and how it benefited me as a designer. The day job is nothing but a recurring client that I see every weekday. If I wanted to overcome the difficulty of schedule I could have easily partnered with different agencies let them do the client services part, and then I focus on producing quality work. Since there is such a low barrier to entry, there has been an explosion of online entrepreneurs and creative professionals. Anyone with an idea and internet access can is one Google search away from discovering online education about how to build a business around a creative skill and voilà they are an instant freelancer or at least claim to be one. Though online education has empowered people to start their own business, it has also led to more noise in the market. When there’s noise you want to stand out even if it means you will portray yourself as a larger company but today customers more than ever are looking for honesty over perception. The Internet is experiencing a shift, and the shift is leaning towards authenticity meaning that who you are will be exposed. It seems like every week a news story brakes that reveals some hidden secret about a celebrity. Some people are shocked but what is happening is their real character is exposed. They can no longer separate who they are from how they want people to perceive them. The same goes for building a creative business, to be successful you’re going to have to embrace the fact that you have to be completely honest about who you are where you are in your business where you’re trying to be on your level of skill. I have a friend named Scott. Scott advertised himself as a web designer but in actuality he not a web designer at all. Whatever Scott had a new client he would find out all of their requirements then go on a site like Freelancer.com or Upwork and hire a web designer to build it. Scott was a middleman. Though that tactic worked back in 2010, it is not going to work in 2020. To remain afloat in the sea of other creative professionals, you will have to understand authenticity; this implies you will have to become more transparent. More transparency about your processes. More transparency about your capabilities. More transparency around where you fit in the creative process. Authenticity is equated to your level or honesty, and if a client doesn’t trust you, then they will not work with you. Simply put, those creative professionals who are hosting “LIVE” webinars and play a recording instead of hosting a webinar live…this tactic is dying and will soon no longer work. The people who mention they are experts but have no work, portfolio or evidence to back it up…this tactic is dying and will soon no longer work. Building up an email list of thousands of people to sell to but you’re not willing to get to know them…this tactic is dying and will soon no longer work. Ultimately if you want to build a successful business in 2018 authenticity in your actions and business is paramount. Don’t portray yourself as some large company when authentic human interaction is the main reason why people transition into clients. Genuineness will get you further than trying to keep up with a colossal embellishment. A great example of this is Jarrod Drysdale. 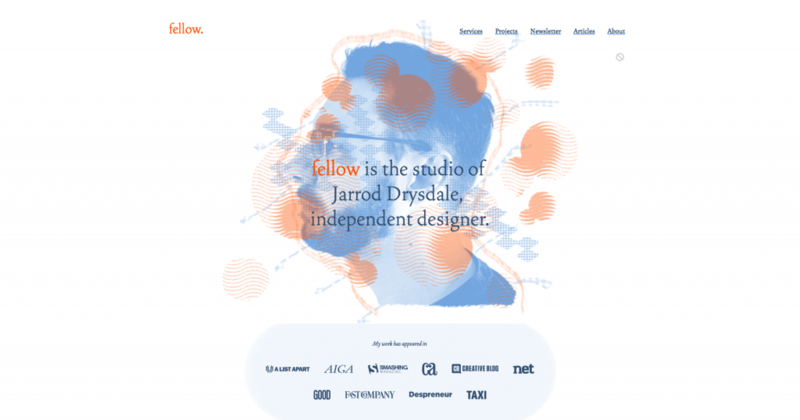 On this homepage, he is straightforward about his position: fellow is the studio of Jarrod Drysdale, independent designer. Jarrod has been a professional designer since 2004, working independently since 2010. He is also an author, developer, marketer, researcher, and product maker. Jarrod has completed work for clients including Framer, Personal Capital, Bloomberg, Scottrade, Intuit, State Farm, McDonald’s, Kraft Foods, and New Line Cinema. We are moving toward the age of machine learning. One day we will get to the point where we can wake up in the morning tell our digital assistance what we need and then everything is taken care of through automation. Though this is helpful for some tasks when it comes to building authentic relationships we have it backward. Automation is used to make repetitive or monotonous tasks easier so that we can have more time to focus on what’s important. However what tends to happen to us is we use automation to make things easier and talk to people less. When it comes to building a relationship, no automation will replace a genuine, authentic conversation. We try to automate everything even our conversations. We’ve taken automation a step further, and instead of text messages, we send emojis because we don’t have to type as much. It’s one thing to use automation to make things easier. However, it’s another thing to use automation to feint human interaction when building relationships. The primary differentiator for success is you. Your unique skills, perspective, and worldview is not a thing easily copied. However, before you can be authentic, the first thing you have to do is learn how to communicate what value you can bring to someone else and how to do so in an honest way. This starts with learning to tell your story. How did you get to where you are today and steps did you take along the way? How does your unique experience position you in a way to help others? When working clients what are some obstacles you overcome? What are some results your work has produced that you can point to as a case study? Start with honestly answering these questions, and your authenticity will begin to help shape you as a legitimate authority.